Please see Resources page for phone numbers of any organization we reference below. Gently capture the bird then put it in a safe container (box with holes or kennel). Then contact your nearest Wildlife Rehabilitator.  A list of Colorado's Licensed Wildlife Rehabilitators can be found here. What do I do if I find an injured hawk or owl? Please call Birds of Prey. Leave message if they do not answer. You can also call the Colorado Division of Wildlife. What do I do if I have a bird trapped in my house? Turn off all the lights. Open up a door to the outside that is bright. Help guide the bird towards the light. If the bird is caught in a place you cannot get to and it cannot fly, please call Urban Wildlife. What if I would like to volunteer?